JR’s antique carriage collection celebrates 110 years of history. At the age of 14, Joseph R. Burtard purchased a Vilie Surrey that was built in 1903 by the Grandson (Willard Lamb Velie) of John Deere. The surrey tells an interesting story of the John Deere family and the transportation revolution in America. JR’s antique carriage collection celebrates 110 years of history. Willard Lamb Velie was an executive at Deere & Company before starting his own companies, which grew to become Velie Motor Company. He developed advanced engines for automobiles and even airplanes. He was the third of five children born to Stephen H. Velie and Emma Deere, the daughter of John Deere. 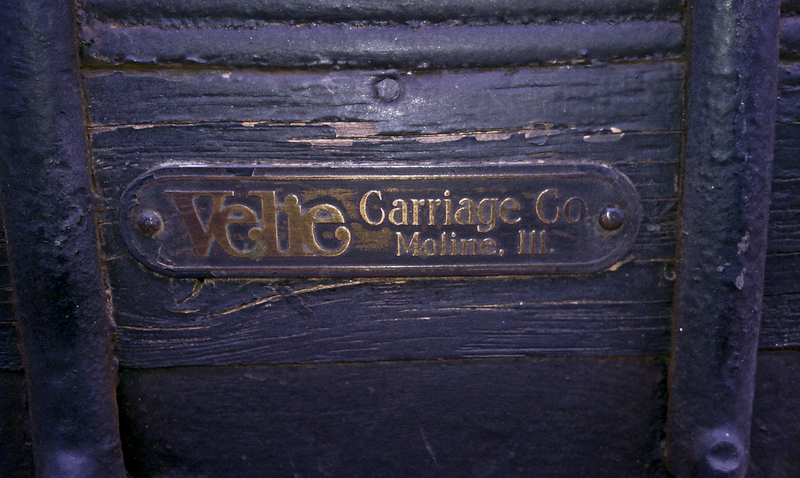 In 1902 Velie founded his first company, the Velie Carriage Company of Moline. It manufactured buggies, carriages, surreys, driving wagons, and spring wagons called the “Wrought Iron Line” of vehicles. In 1907 alone the company made 21,000 buggies and surreys. When his cousin William Butterworth became president of Deere & Company in 1908, Velie was elected vice-president. Three years later he became the first chairman of the executive committee when it was formed. At the same time he founded the Velie Engineering Company, which produced gas, steam and electric motors and engines, plus automobile accessories and motor trucks. In 1916 he merged his two companies and began making tractors. Their first was the Velie Biltwel 12-24, a four-cylinder tractor powered by a Velie-built engine. While this appeared to be a conflict of interest, Velie was a strong supporter of Deere & Company’s acquisition or development of a tractor. 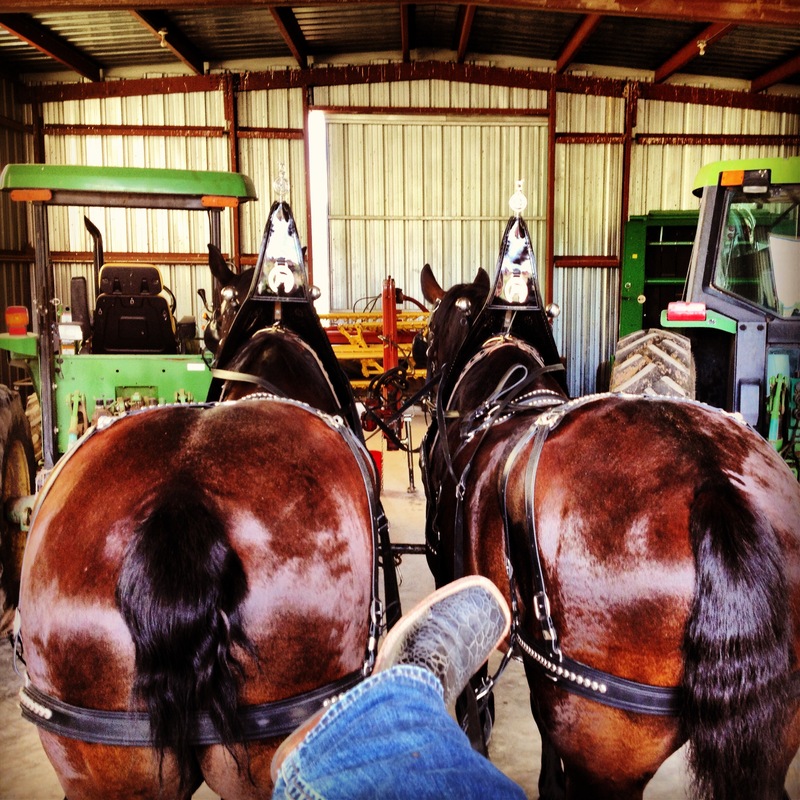 For the most part, Velie’s product lines and Deere’s lines remained separate. He and Butterworth were in disagreement, however, about the company’s operation and so Velie resigned his executive committee positions in 1918 and severed all ties with the company in 1921. The surrey tells an interesting story of the John Deere family and the transportation revolution in America. While still at Deere & Company, W.L Velie incorporated the Velie Motor Vehicle Company in 1908. While he kept his tractor lines separate from the Deere line, his automobiles were marketed through Deere’s branch houses. When he merged his companies in 1916 he formed the Velie Motor Company. The products produced by the company came to be known for their quality at a reasonable price. By 1912 the company’s stock was valued at $1.5 million and four years later it was worth $2 million. Between 1913 and 1915 the Velie factory was turning out an average of 30 cars a day. By 1920 the buggy business was phased out and automobile production peaked at 9,000. Estimates of how many motor vehicles Velie produced in the two decades the factory was in operation range between 75,000 to 300,000. Velie was not the only person in the Tri-Cities, now known as the Quad Cities, who was building automobiles. At one point in the early 20th century there were ten different makes being produced in the area. Velie was the most successful. The U.S. Navy chose the Velie engine along with seven others as the best automobile motors for adaptation to military use. 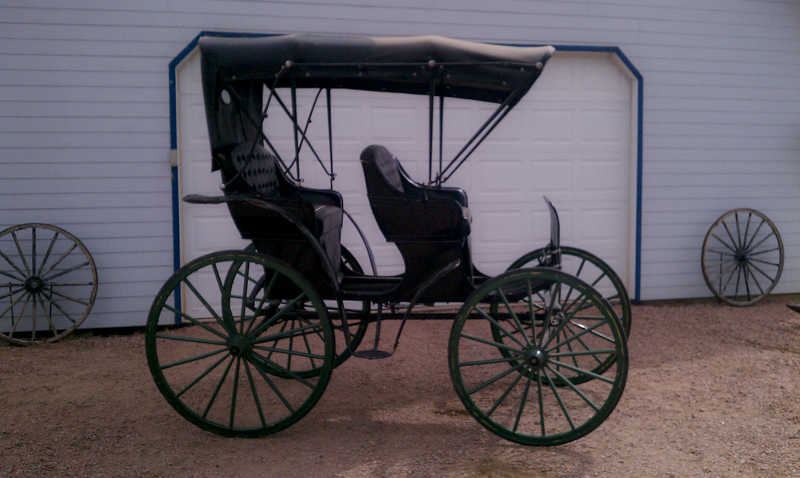 The carriage has been restored to museum quality and still has the original hardware. Willard Velie, Jr. was named the company’s vice-president in 1927. He was the one who introduced the production of airplanes into the family business. They developed the first six-cylinder valve-in-head airplane motor in 1919. The United States Department of Commerce awarded the Velie Monocoupe its highest rating, and plans were developed to build a four seat monocoach. The plane would never be built. W.L. Velie, Sr. died in October 1928. A month later Willard Jr. stopped the production of automobiles and sold the company’s interests to an Indianapolis firm. Four month later Willard, Jr. died and the airplane interests were sold to a St. Louis, Missouri firm. The Velie Motor Corporation came to an end. 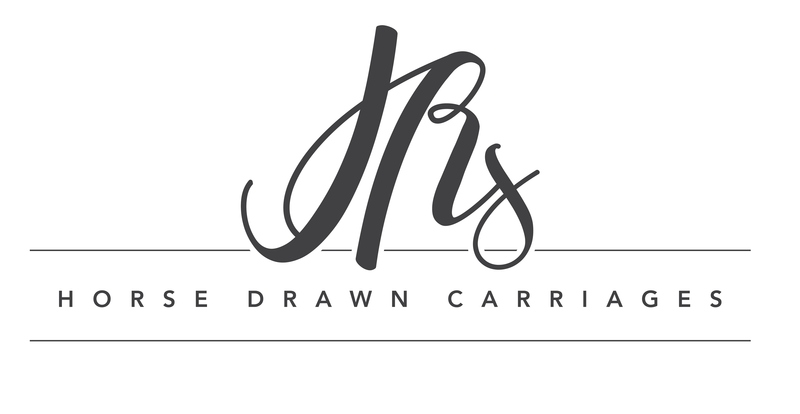 JR’s Carriage Service showcases this carriage at different events and has even performed a limited number of weddings with it. 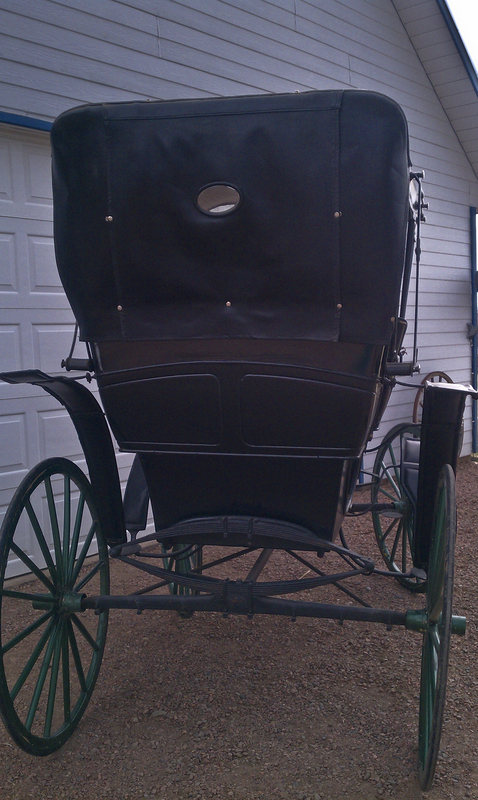 The carriage has been restored to museum quality and still has the original hardware. Velie Carriage Company of Moline called the “Wrought Iron Line” of vehicles.